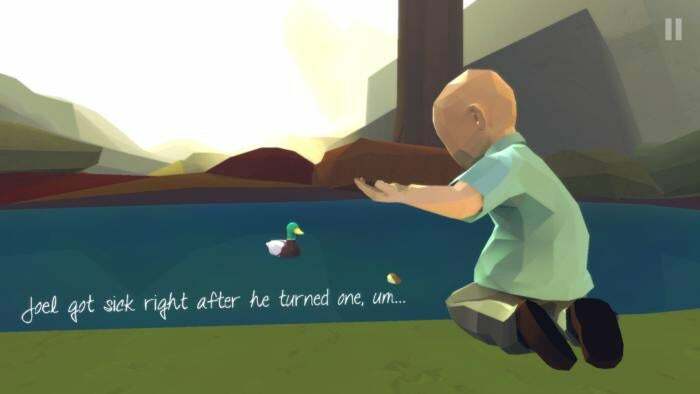 Grieving parents turn the loss of a child into a beautiful, yet devastating game. Games are still primarily thought of as being solely for fun, and that’s true in most cases. We play games for excitement and escapism; to kill time or experience something we couldn’t physically (or financially) undertake in real life. But video games can be much more than playthings and diversions: interactive entertainment can help convey a real-life experience that you’ll hope against hope to never suffer for yourself. That Dragon, Cancer is a prime example, and whatever you’ve gleaned from its title, I promise the actual scenario is much worse. This indie game, primarily developed by the husband-and-wife team of Ryan and Amy Green, recounts the struggle around their late son Joel, who was diagnosed with a cancerous tumor at just one-year-old and ultimately passed away at age four. You start the game as the duck, actually, but the perspective shifts a lot along the way. It’s somewhere between a coping exercise for the grieving parents and a tribute to their late son, alternating between moments of depression, doubt, whimsy, and very surreal imagery as they fight to heal their son, consider the role of faith, and deal with the trauma of raising a child with terminal cancer. Unsurprisingly, That Dragon, Cancer is an absolute gut-punch of an experience—easily one of the hardest games I’ve ever played, and that has nothing to do with the challenge level or game design. While not a game you’ll likely enjoy playing, it’s one that is worth the stress and tears to be able to empathize with its creators in an unfamiliar way, and witness the beautiful art borne of raw, real human emotions. Here’s why this recent iOS release is so powerful. It’s a full portrait: While the subject matter is obviously very serious and difficult to deal with, That Dragon, Cancer attempts to provide a comprehensive picture of the child’s life, his family, and his struggle through alternating vignettes. We see the toll his illness took on both him and his parents, but also the beautiful moments he spent with his family and how much they adored him during his far-too-short life. 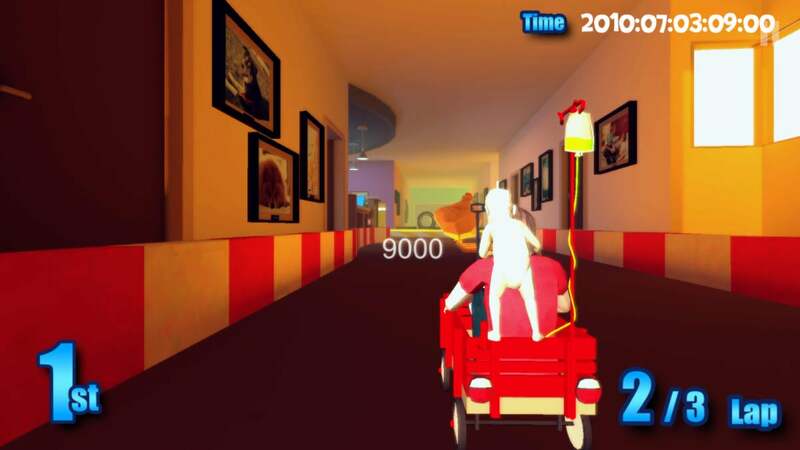 A wagon ride in the hospital is transformed into a kart-racing sequence here. Were That Dragon, Cancer purely a gut-wrenching and miserable recollection of an unthinkably horrible experience, that would be completely reasonable—but also more difficult to stomach by observers who are willing to experience this art. The game will pummel your heart, especially if you have a child of your own, but it’s also sweet and loving, and tries to convey Joel’s happiness amidst the pain. It’s deeply imaginative: Credit the creative vignettes for shaking up the structure and injecting those much-needed moments of levity and joy. That Dragon, Cancer is comprised of more than a dozen sequences, each a lightly interactive moment that lets you tap around the environment to trigger further storytelling and events. You’ll sit in the hospital room as Joel receives chemotherapy in his father’s arms, for example, or play a simple side-scrolling action game as Ryan explains Joel’s plight to his brothers. Visual metaphors do plenty to convey the sadness, confusion, and overwhelming stress of the situation. Many of the scenes take unexpected twists, and none are plain recreations of real-life scenes. A moment in which doctors share bad news sees the room fill steadily with rain water, with Joel shown navigating the choppy waters in a lifeboat—and you can ever hear the doctors’ imagined inner monologue using the child’s See ‘n Say-like toy. The artistic interpretations of their thoughts, feelings, and reactions makes for really dynamic storytelling, both visual and otherwise. 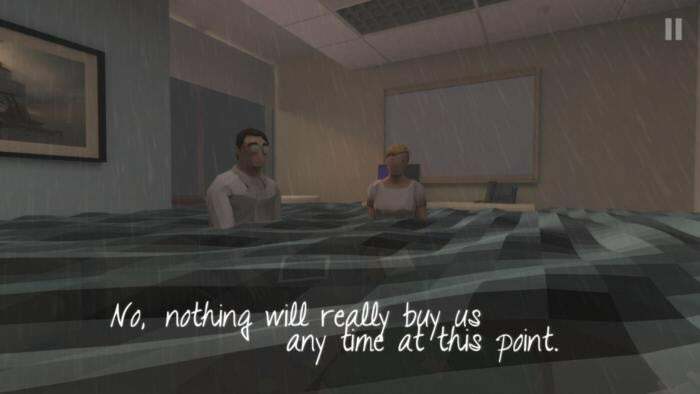 It’s special: Not everyone is going to see the value in playing a game like this, and I totally get it: That Dragon, Cancer will probably make you uncomfortable. But it should, and being able to play through the experience rather than simply watch a documentary film or read a book really prods your empathy button in startling fashion. Don’t play this one on your commute. Give it a couple solid, quiet hours of your life. What the developers have done here is marvelous, and it really showcases the creative potential of games for more than just amusement. 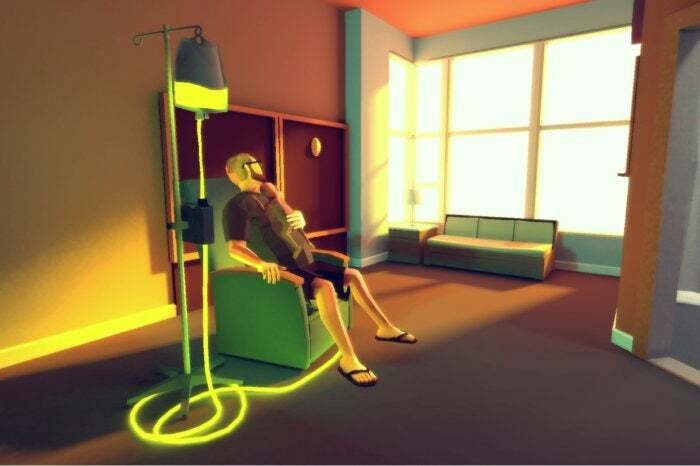 That Dragon, Cancer only lasts a couple of hours, but by the end, we’ve lived with these characters enough to feel something for them: sorrow, certainly, but also an appreciation for how the parents funneled their grief and confusion into their art. You might take something away from the experience, and while it might not be happy, I suspect it’ll be positive overall.